LeBlanc is the current Advisor of Almeox and resides within Castle Droit de Feu. He frequents Ecole d’élements, the Conjuration School, in Brel to visit the Head Mage of Brel, Rémi Masson. They are often found speaking together behind closed doors. This has raised rumors regarding a collaboration between the Mage Schools and the government. The casters of the Kingdom of Oraculus have always been known to hold the real power, but as of late there has been suspicions that the Mages are militarizing. 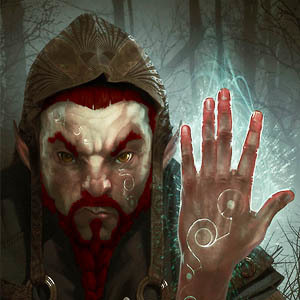 The position of Advisor within the Kingdom of Oraculus is a high position and is responsible for diplomacy outside the kingdom. The King is the hand inside the kingdom and the Chancellor sees to the negotiations elsewhere.